A $500* non-refundable deposit is required to enrol and to reserve you place in the Process you selected. We accept payments by direct deposit/telegraphic transfer, cheques, PayPal and most major credit cards. To apply for a partial Scholarship, download our Scholarship Application Form and email it back to admin@hoffmanprocess.com.au, the Scholarship Committee will assess your application based on the information provided and will award according to available funds at the time of the application. Would you like to gift the process to a loved one? Please download our Hoffman Process Gift Certificate, no upfront payment is required. The recipient of the Certificate will have to contact us and receive a Free one hour Consultation as part of the enrolment. Please contact us on +61 3 9826 2133 or Singapore : + 65 6735 3072 for more information. Before registering please read our payment terms and conditions. • Please also note that prices and dates are subject to change and that all prices and discounts include GST. The deposit of $500 is non-refundable. If you change or cancel your process date within 2 weeks of agreed Process, a $2,500 fee is applicable. 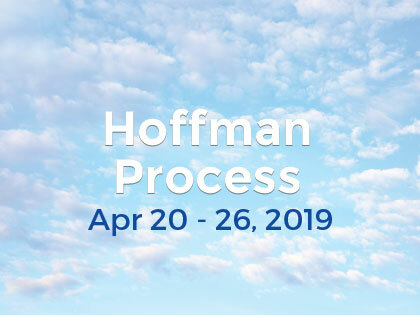 If you change or cancel within 1 week of Hoffman Process commencement you forfeit the entire fee. (Exemptions are considered if a medical certificate is provided). All other date changes made outside these specified periods incur a $110 administration fee.